My Little Pony: Friendship is Magic fast became the best-selling comic in IDW’s history and last year the title reached a monumental milestone of selling over one million copies at retail. To celebrate the occasion, IDW and Hasbro collaborated on a very special promotion. 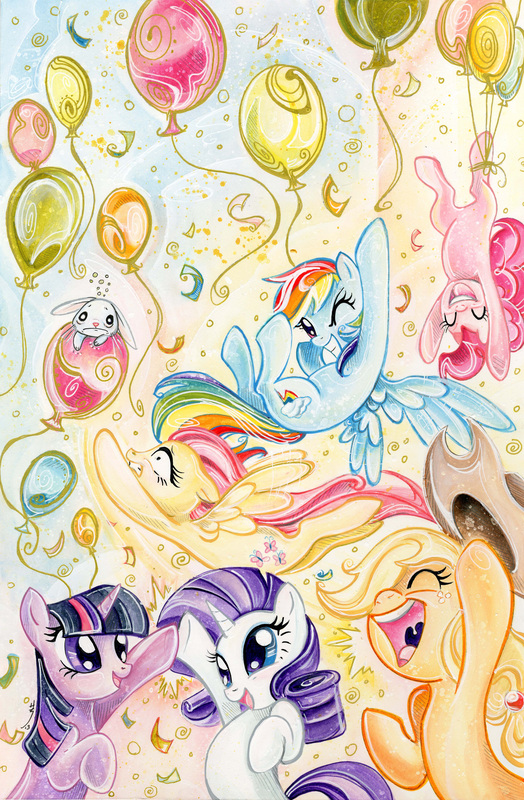 In an unprecedented move, an extremely rare variant cover by fan-favorite Sara Richard of issue #12 of My Little Pony: Friendship is Magic was made, so rare it was limited to ONE copy total! IDW and Hasbro are proud to announce that they are joining with Heritage Auctions, the largest collectibles auctioneer and third largest auction house in the world, to auction both the one-of-a-kind issue and the original artwork by Richard, at Heritage’s Signature Auction, this August 7th. Proceeds of the auction will benefit Give Kids The World, a non-profit organization that provides children from around the world with life-threatening illnesses and their families a memorable and cost-free visit to Central Florida attractions. MY LITTLE PONY is an evergreen lifestyle brand that continues to be a worldwide perennial favorite. The “My Little Pony: Friendship is Magic” animated series is created by Hasbro Studios and is currently airing on The Hub TV Network in the United States and can be seen globally in over 180 territories. 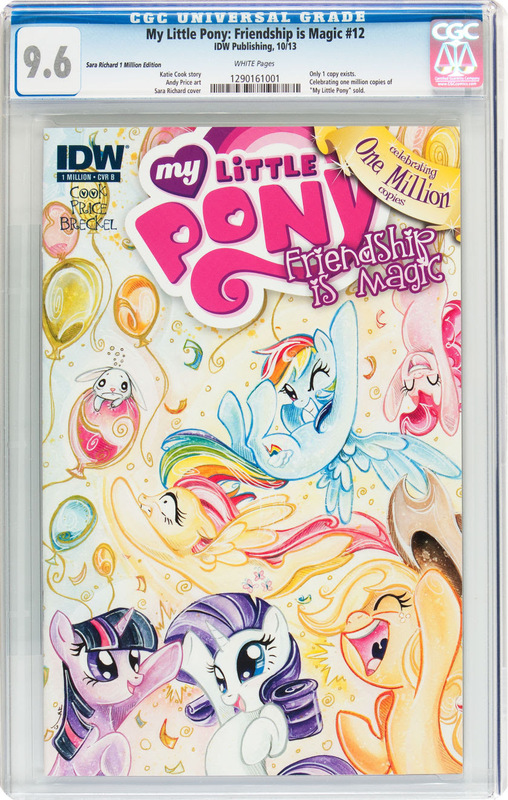 The one-of-a-kind variant issue #12 of My Little Pony: Friendship is Magic will be on view at Heritage Auctions booth at Comic-Con International: San Diego. 5. Click on MyBids often to watch your bids!